Design of the website is extremely important. We will work towards providing your website with the perfect feel, look and tone that will have a great sync with the objectives of the business. The website is the one that will establish your business as a brand. So, we will take utmost care to create a set of designs for each web page. This is the final stage in the development process when you consider the previous stages of drafting to having a live website.  Having the best Magento website user interface design need not now be just a dream but can definitely be a reality. There are many Magento theme designs and Magento layouts that will add more relevance to your business in terms of visual appeal. It definitely takes a lot to get noticed amidst fierce competition. It is just not easy to sell your service or product by drawing the clients your way and it is not sufficient to get their attention too. You should be able to sustain their interest in your website. So, the website has to speak out loud all for itself. It is at this stage where we will empathize with the user and think from the user’s perspective. This viewpoint will help us to streamline each and every process. We can add call to action buttons whenever needed. When we do so, we can actually put an end to worries related to bounce rate and abandoned carts. As mentioned earlier, our Magento designer will create a mock web page for all the pages in your website and we will also integrate all the components that we have crafted into these mock pages. This is a wonderful opportunity to review all the ideas and plans and then only finalize the design before we actually get down to the process of development.